The 2019 drone racing season is here! There have been some significant changes made to the series this year. First and foremost, the series is now known as the MultiGP Series and is open to all countries. We are no longer limiting the series to regions within the US. 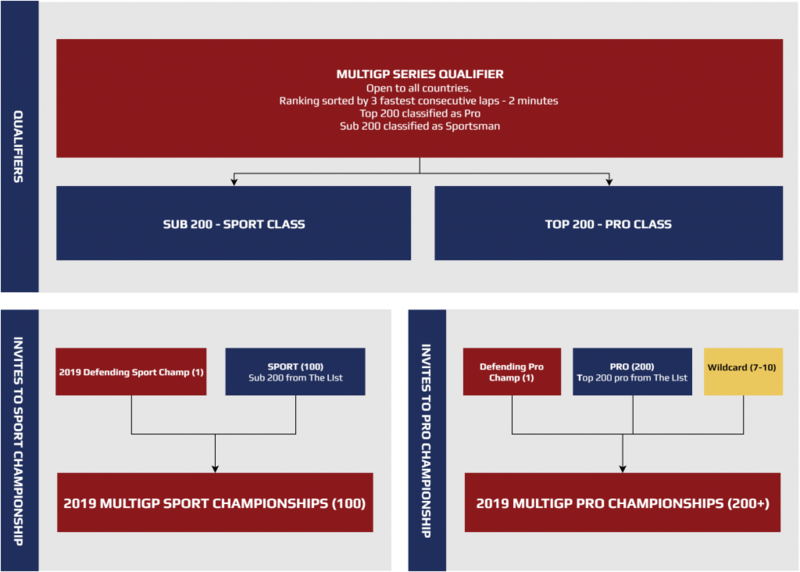 For the first time ever, chapters across the globe can host qualifiers and attempt to send their best pilots to the 2019 MultiGP Championship. Using the global qualifying track, requiring 10 standard MultiGP chapter gates and 5 flags, pilots will attempt to log their fastest 3 consecutive laps and claim their invite to the championship. Separate Pro and Sport Class Championships! For the first time ever, we will be holding a championship spanning 2 weekends. The first weekend will host the Sport Class championship, where pilots ranked under 200 on the list will be invited (100 invites maximum) to the Sport Class Championship to crown the Sport Class Champion. Our goal is to continue growing local grassroots racing by giving the slower guys something to work towards and progress onto the Pro Class. The following weekend, the top 200 Pro Class pilots will battle it out for the prestigious title of MultiGP Champion. Pilots can attend as many qualifiers as they want. With the start of the 2019 season just around the corner, we are proud to release the 2019 MultiGP Series Qualifying Track. This track requires 10 gates and 5 flags and an available field approximately 70’x200′. We encourage all chapters around the world to participate in the MultiGP Series. Tier 1 and 2 Chapters may hold 2 qualifiers, Tier 3 chapters may hold 1 qualifier. 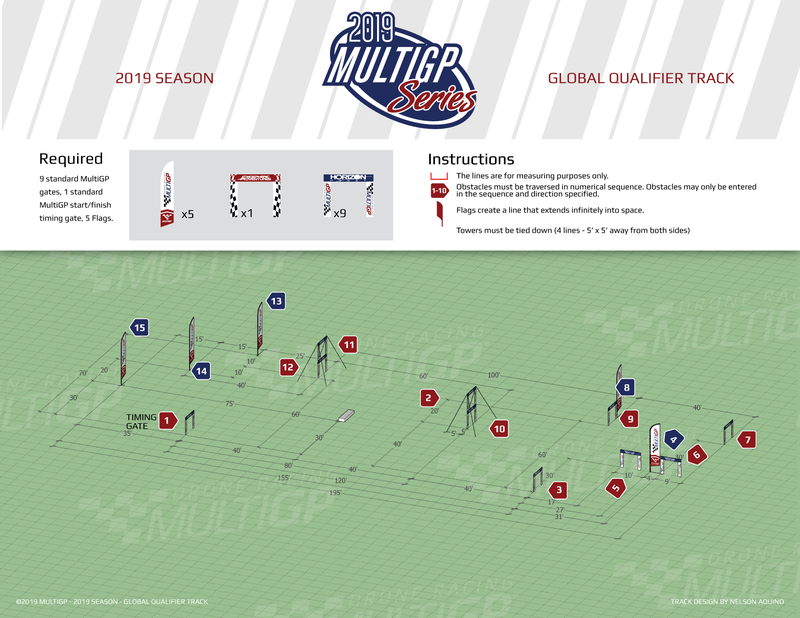 Get your gates and flags ready, the MultiGP Series Qualifier Track diagram is below.